2010 Holiday Mini is here! The 2010 Holiday Mini is here and it’s so much fun. You have to check it out. We’ve got something fun and new this year our very own Stampin’ Up! fabric. You need to check out all the fun things we are doing with fabric. Fall is a great time to host a party. Image yourself earning free product while having fun making projects with your friends. You could earn your Christmas for free. Contact me today to set up your date 435-245-5321. You can see all my available dates by clicking on the calendar in the side bar. To see all the great products just click on the mini catalog picture in the side bar. Remember you can always order on-line at my website 24/7 or give me a call. 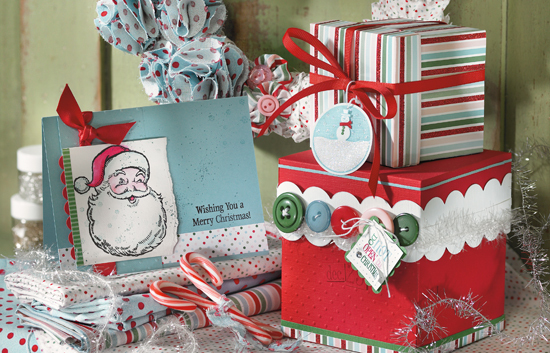 www.candiceanderson.stampinup.net. One more thing- If you haven’t noticed already I’ve added a place for your to subscribe to my blog. Just click on it and put in your e-mail address then you will automatically get my posts each time I add a new one. Plus you can sign up for my newsletter so you can always be up to day on what is happening. You can find both of these in the left side bar. Thanks for stopping by and I look forward to hearing from you soon.